We do not believe that a single point of contact can achieve your best outcomes. That is why the OMG model is the inverse of the industry. We have four to seven people actively working on each file and have designed each OMG office to provide our clients with immediate access to best-in-class specialists. Every OMG customized plan is developed with the expertise of our CFA charterholders, tax and estate specialists, investment team and benefits specialists. As you can see from the individual biographies below, the level of education, experience and accreditation among our team members is unparalleled. Each of our clients has a unique and complex set of circumstances. Customized planning requires a team of specialists. Information requires insight. In 1995 Bob, and his partners, established Owens MacFadyen Group. After 20 years with a major financial services firm, their mission was, and still is, to offer independent, comprehensive financial management services. With over 35 years of experience, Bob is well recognized for his expertise in the financial issues faced by professionals and business owners. Bob holds a Bachelor of Business Administration from Acadia University. He has been invited to speak at numerous industry functions across Canada and the United States. Bob is a member of the Financial Advisors Association of Canada, the Conference for Advanced Life Underwriting (CALU) and the Investment Industry Association of Canada. He has been active with industry and community organizations, including Past Chair of CALU, Past Chair of Rothesay Netherwood School, Past President of Riverside Golf and Country Club and Past Chair of National Health Care Coalition and is a Board Member of the Atlantic Institute for Market Studies. 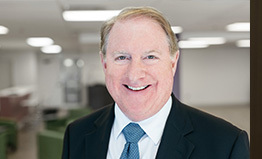 Bob joined Owens MacFadyen Group in 2004. He brought with him 15 years of business experience working in multi-national, national and regional organizations. He held executive-level positions in operations, sales & marketing and planning in the information technology sector and has consulted to & helped manage start-up companies in Atlantic Canada. Bob’s clientele consists of successful entrepreneurs, senior executives and professionals. Bob is known for his commitment to community. He is a Past Member of the Board of Directors for the Canada Revenue Agency (CRA). Among his many volunteer roles, Bob has served as Past Chair of both Enterprise Saint John and the Saint John Regional Chamber of Commerce, Past Board Member of the Saint John Regional Hospital Foundation and the Board of Governors of Rothesay Netherwood School. 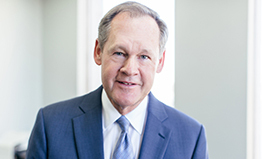 Bob holds a Bachelor of Business Administration from Saint Francis Xavier University. 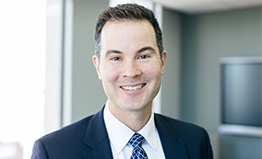 Jeff joined Owens MacFadyen Group in 2005 after spending the first few years of his career with a major financial services firm. He is a registered representative and is licensed with life and living benefits. 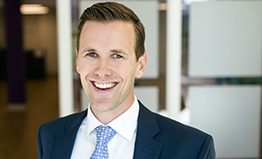 Jeff graduated from Mount Allison University with a Bachelor of Commerce and is a Certified Financial Planner practitioner. Jeff’s practice employs a team-based approach and specializes in complex financial planning needs for business owners, incorporated professionals and executives. 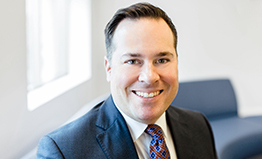 Jeff has served on the Board of Directors at the United Way as well as co-Chair of Membership with the Financial Advisors Association of Canada. Michael joined Owens MacFadyen Group in 2011. 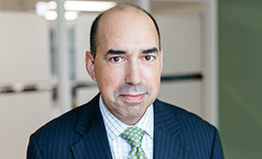 Prior to arriving at OMG, Michael worked as an Associate Portfolio Manager for an independent wealth management firm where he gained broad knowledge and investment experience. In addition, Michael holds over five years of experience working as a Financial and Treasury Analyst in the oil and gas sector. 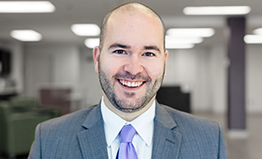 With his Chartered Financial Analyst designation and professional experience, Michael brings a unique level of investment knowledge and tax planning to his growing practice of professionals and business owners. He holds a Bachelor of Commerce, with a major in Finance, from Saint Mary's University, as well as a Diploma in Geomatics Engineering from the Centre of Geographic Sciences in Nova Scotia. Peter joined Owens MacFadyen Group in 2001. Peter’s knowledge, ability and 14 year practice with a leading insurance and financial management company, as well as personal involvement into family business provides a unique and valuable resource for business owners and professionals for their planning needs. Peter is a member of the Financial Advisors Association of Canada and the Life Underwriters Association of Saint John. Peter also served on numerous financial, non-profit and athletic boards throughout his career. 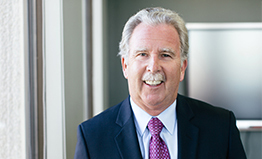 Dave and his partners established Owens MacFadyen Group in 1995. They believed that in order to get best outcomes, their clients needed advice that was independent and comprehensive. Dave holds a leadership role nationally in the financial services industry and locally in his community. 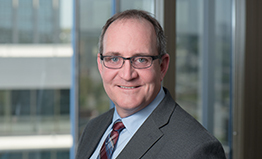 Dave is past Chair of Enterprise Greater Moncton, past Chair of the Financial Planners Standards Council, past Vice Chair of South East Health Care Corporation, has served as a Director of, and is a member of the Financial Advisors Association of Canada. 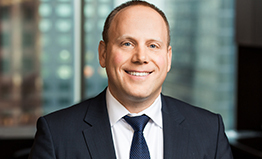 He is a member of the Conference for Advanced Life Underwriting and the Investment Industry Association of Canada. Dave holds a Bachelor of Business Administration from Acadia University. Ralph joined Owens MacFadyen Group in 1998. Ralph’s experience as a partner in an accounting firm and a principle of an Atlantic-based refreshment company gives him the personal insight business owners need. 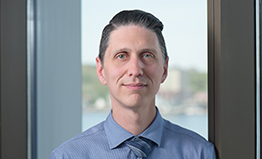 Ralph holds a Bachelor of Commerce from Dalhousie University, is a member of the CPA New Brunswick, the Financial Advisors Association of Canada and the Conference for Advanced Life Underwriting. Michel joined Owens MacFadyen Group in 2012 after a 20 year career in the accounting industry, 14 of which were spent as a tax specialist. He provided tax advice to professionals and business owner-managers on topics including purchase/sale of business, estate planning, corporate reorganization, compensation strategy, and family trusts. Michel provides comprehensive wealth management advice in both official languages. He is a member of CPA New Brunswick and of the Canadian Tax Foundation. 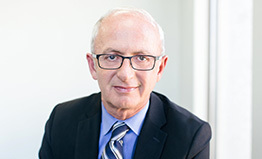 He serves on the Board of Directors of the Conseil Économique du Nouveau-Brunswick. 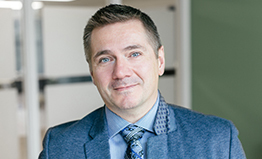 Michel holds a Bachelor in Business Administration from the Université de Moncton and a license in accounting from the Université Laval. Matt joined Owens MacFadyen Group in 2009. After several years of working with all OMG clients as a Financial Solutions Analyst, Matt now provides service support to Dave MacFadyen’s clients. 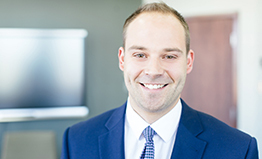 Prior to joining Owens MacFadyen group, Matt was a case manager for the provincial government. Matt is a Registered Representative, has his Life, Accident & Sickness Insurance license, is a Certified Financial Planner practitioner and is a Chartered Life Underwriter. Matt completed his Master in Business Administration from the Australian Catholic University in Sydney, Australia. Matt joined Owens MacFadyen Group in 2007. Prior to becoming a Wealth Management Advisor, Matt supported OMG clients as a Financial Solutions Analyst and as an Associate Advisor. Matt’s background as an analyst drives his need to find clear solutions for complex situations. Matt is a CFP professional and has his Life, Accident & Sickness Insurance license. He is a graduate of Saint Mary’s University. 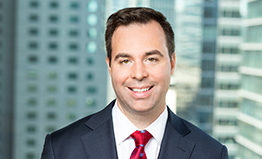 Mathieu joined Owens MacFadyen Group in 2012. His background in commercial banking provides insight into the complexities facing business owners, professionals and senior managers. Mathieu provides comprehensive wealth management in both official languages. 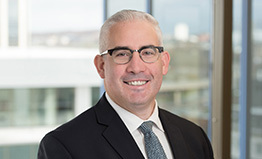 He is currently Treasurer of the Université de Moncton’s Alumni Association and is a member of the Investment Committee for the Université de Moncton’s Endowment Fund. Mathieu holds a Bachelor of Business Administration and a Master of Business Administration from the Université de Moncton. 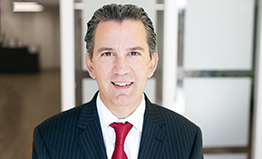 Peter joined Owens MacFadyen Group in 1998. Prior to joining OMG, Peter worked with a leading life insurance company and has over 35 years’ experience in the industry. Peter’s practice specializes in the unique planning needs of physicians and dentists. 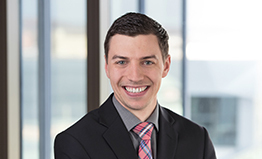 He is a member of the Financial Advisors Association of Canada and the Conference for Advanced Life Underwriting and holds a Bachelor of Business Administration from Saint Francis Xavier University. Peter is a well-respected coach in the athletics community, both locally and provincially, in a variety of sport. 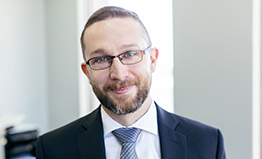 Yair joined Owens MacFadyen Group in 2013. Yair applies his background in banking and investments to enhance OMG’s planning for his professional and business owner clients. 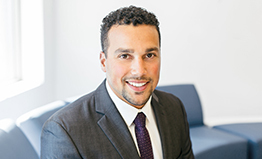 Yair is a Certified Financial Planner and in addition to receiving a Bachelor of Science in Business Management from the University of Maine, Fort Kent; Yair was named Valedictorian of his graduating class as well as the recipient of the Presidential Award for Academic Excellence. To maintain the energy of his college basketball days, he still enjoys the game and can be seen on the court a few times a week. 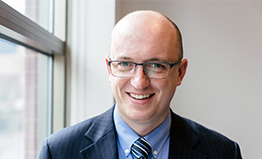 Peter joined Owens MacFadyen Group in 2004 and specializes in the planning requirements for complex situations. 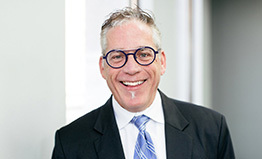 He has over 25 years of financial, accounting and executive experience in business and financial services. 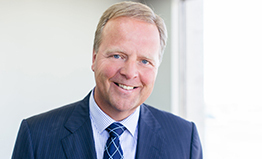 Prior to joining Owens MacFadyen Group, Peter served as the Chief Financial Officer for a regional organization. Peter is a member of the CPA Canada and the Chartered Professional Accountants of Nova Scotia. He holds the Chartered Investment Management designation as well as the Certified Financial Planner designation through the Financial Planning Standards Council (Canada). Peter holds a Bachelor of Business Administration from Saint Francis Xavier University. Peter is well known and respected for his community commitment which currently includes the role as Treasurer and incoming Chair of the Dartmouth General Hospital Foundation, and sitting on the Board of Brigadoon Village and the Jordan Boyd Foundation. Jonathan joined Owens MacFadyen group in 2013. 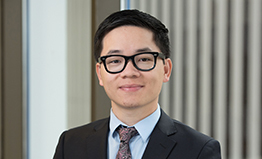 Prior to joining OMG, he worked as an Advisor with a leading financial services firm. Jonathan holds a Bachelors of Commerce from Mount Allison University. Jonathan volunteers locally coaching basketball. Doug has over 30 years of business experience, working in both national and regional organizations. He held various senior management roles in the packaged goods industry before entering the financial services field. In 2002, Doug joined Owens MacFadyen Group. Doug is a Certified Financial Planner practitioner and holds a Bachelor of Business Administration from the University of New Brunswick. Josh joined Owens MacFadyen Group in 2014. Prior to joining OMG, he served as the Director of Business Development for a national financial services firm and has over 15 years of experience in the planning industry. Josh is a Certified Financial Planner, Chartered Life Underwriter and holds a Bachelor of Commerce from Saint Mary's University. 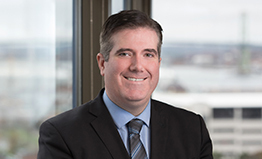 Jeff joined Owens MacFadyen Group in 2014 after 24 years of experience with a major benefits and financial underwriting firm – most recently as a Senior Account Executive in NB and PEI. His high-performance benefits consulting services and expertise allow him to design programs and provide evidence-based insight to his clients that deliver physical, emotional and financial health to employees through tailored programs that are not only sustainable but designed to evolve as the needs of his clients change. Jeff is committed to his community and is active in a number of charitable organizations focussed on youth and animal welfare. Todd co-founded OMG Benefits and Pension Consulting in 1996 after a successful nine year career with a national insurance company. He is a recognized leader in the benefits and pension field and a vocal advocate on issues impacting plan sponsors. Todd’s focus is working creatively with organizations to define their purpose and bring insight through deep technical knowledge to achieve their goals in measurable ways. Throughout his career, Todd has been committed to community and industry involvement. Todd has served on several regional and national industry, health, charitable and athletic boards. He is also a long time minor hockey coach and volunteer. Todd holds a Bachelor of Commerce (Honours) from the University of Manitoba. Christine joined OMG after 25 years working in various consulting roles in the financial services and HR / recruiting industries. Christine is recognized for her professional focus on adding value to her clients. 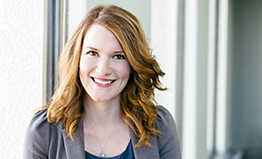 While in the HR/recruiting industry, Christine worked closely with business owners throughout Atlantic Canada on initiatives related to employee attraction, retention and wellness. Christine's background is well suited to the OMG Benefits Consulting goal of focusing on the importance of pension and benefits for organizations who believe in creating a great employer brand in the market. Christine is a graduate of Acadia University. Christine has been a champion for mental health initiatives in the workplace. She is actively involved as a volunteer with many organizations and holds a current Chair position for Governance with the Strongest Families Institute. Mary is a CPA CA and is a Registered Representative. She has over 15 years of experience with an independent financial services firm. Mary has built a practice specializing in the planning needs of the professional services market. Mary is known for her client relationships and dedication to client service. She is a very experienced fundraiser having served for over 10 years on the Scarborough Hospital Foundation Board. She is a member of the Conference for Advanced Life Underwriting and holds a Major in Commerce and Economics from the University of Toronto, Scarborough College. Prior to joining OMG, Adam spent 14 years as a Financial Advisor and Director of Business Development with a leading national financial services firm. He has an MBA from the Schulich School of Business (York University) and is a Certified Financial Planner practitioner. Adam is an ambassador for FPSC to promote the value of financial planning as a profession. He is also a part time instructor at Humber College’s Financial Planning program. 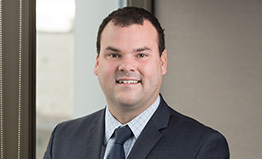 Prior to joining Owens MacFadyen group, Jeff worked at a multinational accounting firm for 12 years with the last 10 years spent in the Forensic Investigations group. 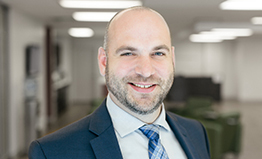 Jeff is a registered representative and a graduate of the Administrative and Commercial Studies (ACS) program with a minor in Economics from the University of Western Ontario and holds a Diploma in Investigative and Forensic Accounting from the Rotman School of Management (U of T). Jeff is a Chartered Professional Accountant (CPA) and a Chartered Investigative and Forensic Accountant (CA-IFA). Iain brings over ten years of wealth management experience to Owens MacFadyen Group having held multiple positions at two of the country’s largest financial institutions. Iain holds a B.A. (Honours) from Queen’s University and is a Chartered Investment Manager. Prior to pursuing his career in finance, Iain was an All-Canadian receiver for the Queen’s Golden Gaels and went on to play in the CFL for the Hamilton Tigercats. 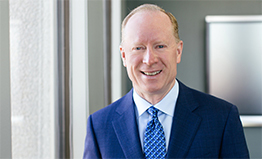 Prior to joining Owens MacFadyen group, Dean worked as an Investment Consultant with one of the country’s largest financial institutions. Prior to this position Dean was an Investment Analyst with an American worldwide banking and financial services company where he was directly involved in constructing investment portfolios for high net worth and institutional clients. Dean earned a Bachelor of Commerce degree from the Williams School of Business at Bishop’s University. He has also attained the Chartered Investment Management® designation and has passed the Level 1 exam of the CFA Program. 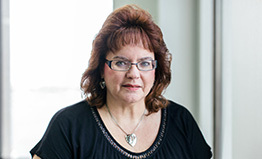 Kathleen has been an employee benefit and individual insurance specialist for over 25 years. After six years working for a large national insurer she began her own practice in 1999, where she has been specializing in employee benefits and executive compensation. Kathleen is a founding member of The Benefits Alliance Group. 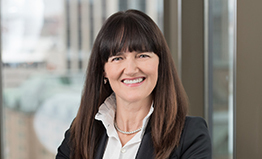 Since 2016 she has served as a member of the Judicial Appointments Advisory Committee (JAAC), which makes judicial recommendations to the Attorney General for the Ontario Court of Justice. 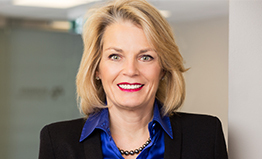 Kathleen has been actively involved as a mentor with Big Brothers and Big Sisters of Toronto and has served as Chair for the Canadian Children’s Aid Foundation’s annual Women’s Golf Classic event. Kathleen is a graduate from the University of Guelph. Andrew joined Owens MacFadyen Group in 2016. Prior to OMG, he spent 3 years working with a Canadian independent investment firm in client relations. Andrew is a graduate of the University of Prince Edward Island, holding his Bachelor's Degree in Business Administration. Andrew provides service and financial planning support to clients of Bob Owens. He is a member of the CFA Institute and the Atlantic Canada CFA Society. 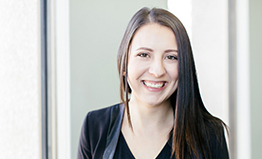 Joining Owens MacFadyen Group in 2018, Ali brings with her experience in Human Resources Administration. 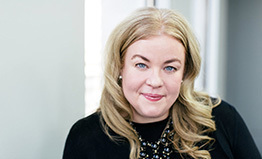 Ali holds a Bachelor of Arts Degree, majoring in Psychology from Saint Mary’s University as well as an Advance Diploma in Human Resource Management from Nova Scotia Community College. Ali volunteers with Nova Scotia Special Olympics Fundamentals Program in Bedford and Sackville. Chris joined Owens MacFadyen Group in 2013. Chris previously worked with a major chartered bank and its brokerage firm, along with a major investment dealer. He is a registered retail representative and is licensed with life and living benefits. He has completed the Chartered Financial Analyst program, is a Certified Financial Planner practitioner, and is a Chartered Investment Manager. Chris has volunteered in his community with various charities, athletic and cultural organizations, including service as an artillery soldier with Canadian Armed Forces Primary Reserve and as a committee member supporting the Atlantic Ballet Theatre of Canada. Chris presently serves on the Board of Directors for Second Stages Safe Haven, a shelter provides on-going support, counselling and programs in conjunction with temporary, long term and safe affordable housing for abused women and abused women and their children. He has been appointed to the Board of Directors at Habitat for Humanity, Saint John. 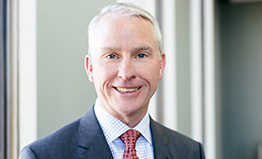 Keith joined Owens MacFadyen Group in 2016. He provides service and financial planning support to clients of Peter Boyd. Keith’s prior experience includes performing operational due diligence for alternative investments, such as hedge funds, fund of funds, and managed account platforms. Keith holds a Bachelor of Science degree, with the major in Mathematics and Applied Science from Acadia University. Keith is a Registered Representative. Keith is involved with a non-profit tutoring service with Shine Academics who focus on Helping, Supporting and Inspiring Individuals. Liz joined Owens MacFadyen Group in 2015. She brought with her a background in both administration and client services within the banking and credit industries. Liz holds an Honours Diploma from NBCC Saint John, in Business Administration — Investment Management. Liz volunteers as a Coach with the Fundy Soccer Association and Elections Canada. 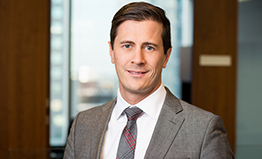 Mathieu joined Owens MacFadyen Group in 2016. He is a graduate of The University of Ottawa with a Bachelor of Commerce, Specializing in Finance. 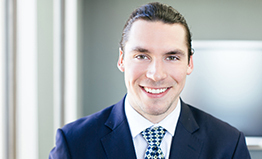 Mathieu is working toward his Chartered Investment Manager designation (CIM). Jason joined Owens MacFadyen Group in 2002. As Chair of OMG’s Investment Committee, Jason is responsible for the initial and ongoing due diligence of investment products and investment strategies. Jason works closely with our advisors and their clients on investment strategies and many other elements of comprehensive wealth management. 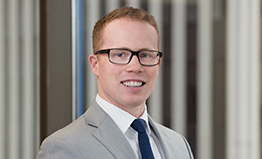 Jason holds a Bachelor of Commerce with a major in Finance from Dalhousie University. He is a member of the CFA Institute and the Atlantic Canada CFA Society. 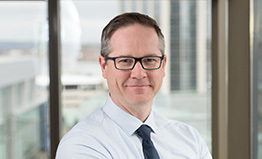 Sheldon joined Owens MacFadyen Group in 2014. Sheldon provides internal research and input on investment manager selection and portfolio construction. Sheldon holds a Masters in Economics from Dalhousie University. He is a member of the CFA Institute and the Atlantic Canada CFA Society. Ben joined Owens MacFadyen Group in 2015. His background as an Account Manager with a chartered bank as well as his education brings Ben’s knowledge of investment management and portfolio construction to the investment team. He holds a Bachelor of Commerce degree with majors in Economics and Finance from Saint Mary’s University. Ben is a CFA Charterholder and has completed his IIROC licensing as a Registered Representative. He is a member of the CFA Institute and the Atlantic Canada CFA Society. Ben volunteers as a tutor with Junior Achievement and as a mentor with Big Brothers Big Sisters. 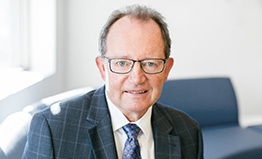 Prior to joining Owens MacFadyen Group in 2001, Barry has spent a majority of his career in the financial services industry including time with an international advisory firm and with a major insurance company. Barry works closely with our advisors and clients on tax issues and strategies and many other elements of comprehensive wealth management. Barry holds a Bachelor of Arts with a major in Economics (Honours) from Wilfred Laurier University. Barry is a member of the CPA New Brunswick, the Canadian Tax Foundation, the Society of Trust and Estate Practitioners, the Financial Advisors Association of Canada and the Conference for Advanced Life Underwriting. Michael joined Owens MacFadyen Group in 2014. 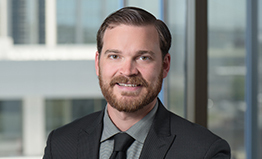 His prior professional career includes working as a Senior Accountant with a large accounting firm, where he gained experience in various areas such as taxation, assurance, and business advisory. Michael works with financial advisors, providing them with financial and retirement analysis for their clients. Michael is also engaged in providing advice on tax issues and strategies along with many other elements of comprehensive wealth management. Michael is a Certified Financial Planner practitioner. Michael has a Bachelor of Business Administration, with a Major in Accounting & Finance from The University of New Brunswick. Mark joined Owens MacFadyen Group in 2017. Mark has held positions as an Investor Relations Specialist and a Hedge-fund accountant with a hedge-fund administration company. Mark is a Finance graduate from NSCC with an Award of Merit for Academic Proficiency and Professionalism, and was VP of Finance for the Student Association. Community work includes the Deans Advisory Council for the Finance program at NSCC and participating in the Junior Achievement – Economics for Success program. Mackensey joined Owens MacFadyen Group in 2016. Mackensey's previous experience includes a Research Assistant and a Funding Support office of a major bank. Mackensey holds a Bachelor of Commerce with a Major in Finance from St Mary’s University. Mackensey is currently a CFA Level 3 candidate. 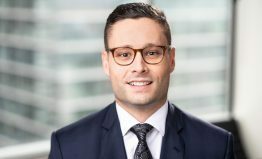 Jesse joined Owens MacFadyen Group upon graduating from Mount Allison University where he earned his Bachelor of Commerce with distinction in May 2018. 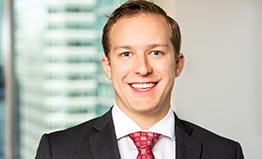 Prior to his graduation, Jesse had worked summer intern positions both with the federal government and Owens MacFadyen Group. 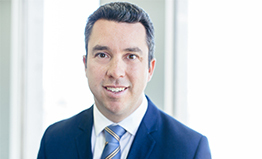 David joined Owens MacFadyen Group in 2014. He is an experienced technology professional who has worked in the telecommunications, oil & gas and insurance industry. David has a diploma as an Information Systems Specialist and is a Microsoft Certified Professional. His role is to manage OMG's IT Service Desk, ensuring that IT service standards are achieved. David has over 17 years technical experience with numerous technology platforms, networks and information security practices. Steve joined Owens MacFadyen Group in 2017. He has worked in the IT industry for over 12 years working in Deskside Support to installing servers & setting up networks. Steve has a diploma in Network Administration and Security. Steve is currently working towards his MCSA (Microsoft Certified Solutions Associate). His role is to assist with the Service desk and to support the Sr. System Administrator. Steve joined Owens MacFadyen Group in 2013. Prior to this, Steve worked for several Fortune 500 companies in various IT roles. He has over 20 years of experience in software development and solutions, IT project management and technology infrastructure development. Steve is currently working towards his Project Management Professional certification, and holds a Master Certificate in IS/IT Project Management from Villanova University. Steve is a graduate of the College of St. Mary in Omaha, Nebraska. 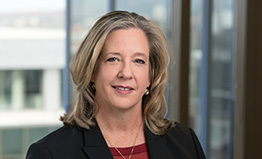 Denise joined Owens MacFadyen Group in 2015. She brings with her 16 years of experience as an IT professional. Her background includes a large national telecommunications provider as a technical analyst. 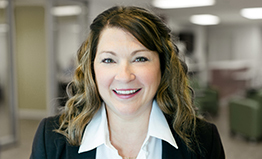 Denise has additional experience in customer service and client relations having worked with a large New Brunswick forestry management firm as well as a Chartered Trust Company. Denise is a Graduate of the Business Information Technology program at NBCC Saint John. She also holds her diploma in Business Administration from Modern Business College, and is a Graduate in Computer Operations and Document Design with ATS Saint John. As an active member of her community, Denise is a current member of Ascent NB and works as a volunteer with Ground Search and Rescue. Nicole began her career with the Owens MacFadyen Group in 1996. 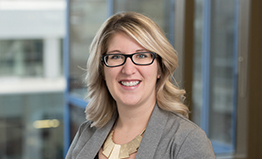 Nicole is responsible for providing accounting, payroll and administrative support to the companies of the Owens MacFadyen Group. 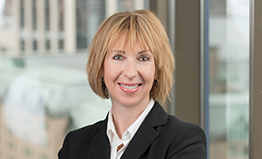 Elizabeth began her career with Owens MacFadyen Group in 2013. 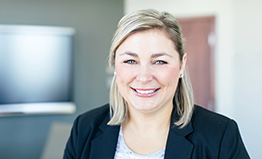 She is a graduate of the Investment Management Program at Nova Scotia Community College, and has also completed a Bachelor of Commerce degree along with a Certificate in Human Resource Management from Saint Mary’s University. 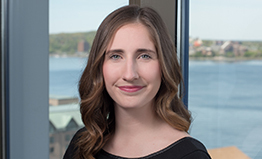 In addition, Elizabeth has a Bachelor of Science from Acadia University. Elizabeth is a Registered Representative. Stephanie joined Owens MacFadyen Group in 2013. Prior to OMG Stephanie spent 13 years with a major benefits underwriter as a client service representative and account coordinator. Stephanie is a Certified Employee Benefit Specialist and holds her Life, Accident & Sickness Insurance License. 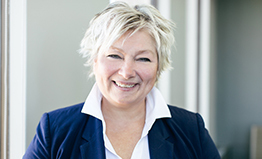 Brenda joined Owens MacFadyen Group in 2000. She brought years of experience as a benefits administrator with a recognized health services partner. Brenda has her Fellow Life Management Institute, Health Insurance Associate and Certified Employee Benefit Specialist designations. Brenda also holds her Life, Accident and Sickness Insurance License. Brenda is a graduate from the University of New Brunswick in Saint John holding a Bachelor of Arts and a diploma in business administration from the New Brunswick Community College. 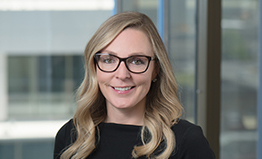 Madeline joined Owens MacFadyen Group in 2018. She previously worked with a major benefits underwriter as a client service representative. Madeline holds a Bachelor of Arts Degree from the University of Guelph and is currently working towards her CEBS designation. 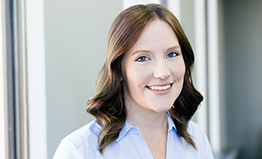 Lyndsay joined Owens MacFadyen Group in 2015. Lyndsay’s background of client service and administration in the tourism industry are highly valued by OMG clients. Lyndsay holds a Bachelor of Business and Tourism Management, BTHM from Mount Saint Vincent University, along with an Advanced Diploma in Public Relations from NSCC. Anna joined Owens MacFadyen Group in 2000. She has over 30 years’ experience in the financial services industry. Anna is a Registered Representative, has her Life and Accident and Sickness Insurance license. She also has her Fellow of Life Management Institute, Associate Customer Service and Associate Insurance Agency Administration designations. 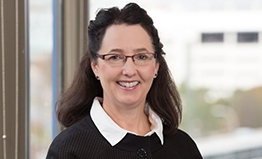 Kathy joined Owens MacFadyen Group in 1999. She has over 30 years’ experience in the financial services industry. Prior to OMG, Kathy worked with a major insurance company as well with a brokerage firm. Kathy is a Registered Representative and has her Life, Accident & Sickness Insurance license. She also has her Associate Customer Service designation. Kathy has spent many years volunteering on various Church Boards, Committees and Fund Raisers as well as Manager of different Girls’ Hockey Teams in the community. 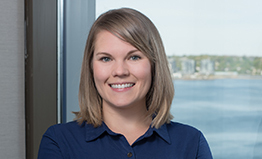 Beth joined Owens MacFadyen Group in 2015. She recently graduated from NBCC Saint John with a Diploma in Business Administration - Investment Management. Beth has completed her IIROC licensing as a Registered Representative. Volunteering is a big part of Beth's life, previously working with Outflow Men's Shelter, Coats for Kids, The United Way "Christmas is for Kids" campaign, and the Canadian Cancer Society. Jamie joined Owens MacFadyen Group in 2015. She brings 14 years of financial service experience and has held both administrative and advisory roles in the banking industry. Jamie is a Registered Representative. She stays active within her community and has volunteered at Romero House, Empty Stocking Fund and Muscular Dystrophy Canada. Ashley joined Owens MacFadyen Group in 2015. 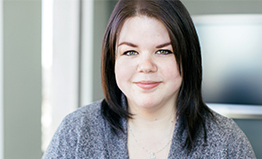 Ashley is a graduate of NBCC Saint John with a diploma in Business Administration; Investment Management. Ashley is currently completing her IIROC licensing as a Registered Representative. Ashley is dedicated volunteer and is proud to be a member of the United Way Investment Committee, sits on the YMCA parent advisory committee and has active involvement within the school district supporting proposed projects. Joining Owens MacFadyen Group in 2017, Sacha brings with her 10 years of experience in Sales and Human Resources Administration. Sacha holds a Bachelor’s degree in Business Administration with a Major in Marketing from St. Francis Xavier University. Sacha is working towards becoming a Registered Representative. Sacha volunteers through her Church Community supporting initiatives on reaching children in poverty in the Saint John Region and “Love Week”. 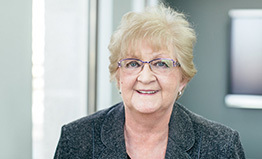 Prior to joining the Owens MacFadyen Group in 2006, Ellen worked for many years in medical office administration, both in private practice and institutional settings. Ellen has an Honours Diploma in Medical Office Administration from CDI College in Thunder Bay, Ontario. She is an active fundraiser and community volunteer. Joining Owens MacFadyen Group in 2015, Conrad brought with him 2 years of industry experience as a sales assistant and compliance officer. 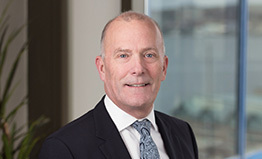 Prior to this, Conrad graduated from the Nova Scotia Community College, earning a diploma in Business Administration, with a focus in Investment Management. He was awarded the NSCC Foundation award “Recognizing outstanding academic achievement, leadership and service that has made a difference in the lives of others.” Conrad is bilingual (French and English), a licensed Registered Representative, holds both his Life, Accident & Sickness Insurance License and a Certificate in Financial Services Advice. 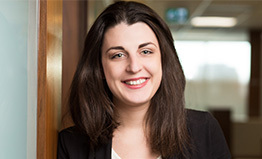 Nathalie joined Owens MacFadyen Group in 2016. Nathalie is fluently bilingual and is a registered representative. Having owned and operated her own successful small business for 14 years, Nathalie is strongly committed to client service. She holds a Certificate in Business Administration: Investment Management from CCNB Dieppe. She has always been involved in sports, volunteering her time as a softball coach for the Acadian Games and as a softball coordinator for the RADBUC co-ed division. 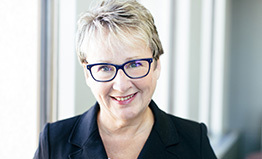 Lyne joined Owens MacFadyen Group in 2014. With a strong background in customer service and administration, Lyne brings a well-rounded approach to her current role and is fluently bilingual. 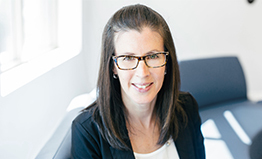 Beginning her career in the financial services with a major financial institution, Jennifer then joined Owens MacFadyen Group in 2005. Along with being a CFP professional, Jennifer is a Registered Representative and holds her life insurance license. Jennifer is active in her community as a member of Toastmasters, Dress for Success Halifax & the Social Boutique Halifax. Alice joined Owens MacFadyen Group in 2012. She brings with her over 20 years of experience in sales and administration with a major bank as well as the insurance and financial planning industry. Alice is a Registered Representative and holds a Bachelor of Business Administration from Mount Saint Vincent University. Alice is a member of the Canadian Diabetes Association and has past involvement with Exploits Valley Minor Hockey Association. Anna joined Owens MacFadyen Group in the fall of 2017. Anna brings experience from her corporate finance in and accounting and administrative support role. Anna holds a Bachelor’s degree in Economics from Plekhanov Russian University of Economics in Moscow and Business Management Post-Graduate Certificate from Humber College and is working to become a Registered Representative. She volunteers through the Circle of Care Program. 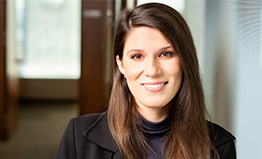 Tala recently joined Owens MacFadyen Group. She brings with her 7 years of experience in sales and service. 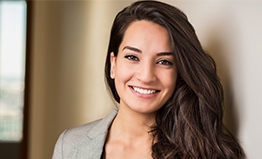 Tala holds a Bachelor of Arts in Law and Political Science (Honours), with a Concentration in International Relations from Carleton University. Part of her academic research consisted of participating in Mobility and Politics, a team conducting research pertaining to the politics and social dimensions of mobility and migration around the world. Nina recently joined Owens MacFadyen Group. She brings with her over 6 years of experience in sales and service. Nina holds a Bachelor of Arts degree in Psychology (Honours) from Ryerson University and a Post Graduate Diploma in Advertising Copywriting from Humber College. Nina has dedicated many years working, volunteering and giving back to the community within a variety of settings, including: Special Olympics Ontario, Etobicoke General Hospital, City of Toronto Parks and Recreation and a women’s shelter with the YWCA. 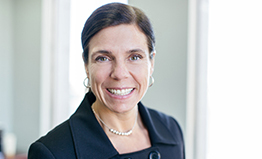 Christine joined Owens MacFadyen Group in 2011. She started her career abroad as Director of Finance for a United Nations sponsored human rights organization. Following this, Christine held commercial account and branch management positions with a major chartered bank. Christine has completed both the Effective Personal Leadership Program and The Effective Motivational Leadership Programs through The Leadership Management Institute. She is currently completing the Harvard Manage Mentor Program. Christine is a Registered Representative and holds a Bachelor of Business Administration from Acadia University. Christine is passionate about community involvement. She is a Board Member of Credit Counseling Services of Atlantic Canada and is a Board Chair of the Greater Saint John United Way. She periodically publishes her writing on Life as a Planner. 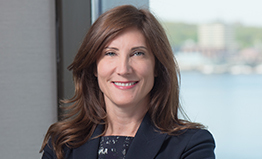 Elizabeth joined Owens MacFadyen Group in 2011 and has over 25 years of professional experience in executive level management, strategic planning and operations. Elizabeth is a certified Lean Six Sigma Master Black Belt and is a graduate of the Leadership Development Program at the Centre for Creative Leadership in North Carolina. Elizabeth has an undergraduate degree in Business Management, from Ryerson University, as well as a Master of Business Administration in International Marketing from McGill University. 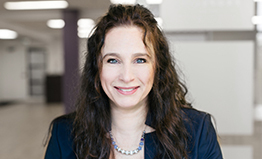 Elizabeth is also a graduate of the Institute of Corporate Directors’ ICD.D program and is an executive board member of both the Strongest Families Institute and Oakfield Golf and Country Club. 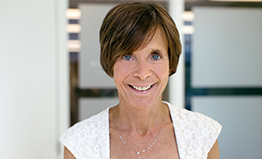 Vickie joined Owens MacFadyen Group in 2013. She brings with her over 25 years of experience in leadership, financial management and operations. Vickie has spent the last 15 years developing IT strategic and operational plans, and implementing best practices. Vickie holds a Master of Business Administration from Laurentian University, a Bachelor of Applied Business Administration with a Major in Information Technology from the Southern Alberta Institute of Technology, as well as a Business Technology Diploma from the New Brunswick Community College. 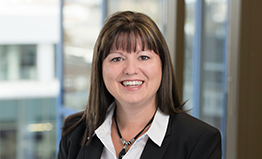 Vickie also holds a Certified General Accountant Designation and is a member of CGA New Brunswick. 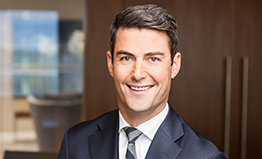 Prior to joining Owens MacFadyen group, Patrick worked at a major financial service firm, most recently as a Regional Vice President. Patrick brings with him over 17 years of leadership experience and is responsible for advisor practice development. He is a member of the Conference for Advanced Life Underwriting and the Investment Industry Association of Canada.